What’s Your Say on This? – Is Superbrands Philippines Credible? One of the hospitals I work for proudly displayed the Superbrands seal in its posters when it was awarded one years ago so I assumed then that this award was totally legit and prestigious. One of the brands awarded above was the subject of three advisories (cease and desist orders for alleged investment related “modus operandi”) from the Securities and Exchange Commission (SEC) Philippines. The three advisories were issued against that brand in February, March and April 2015. 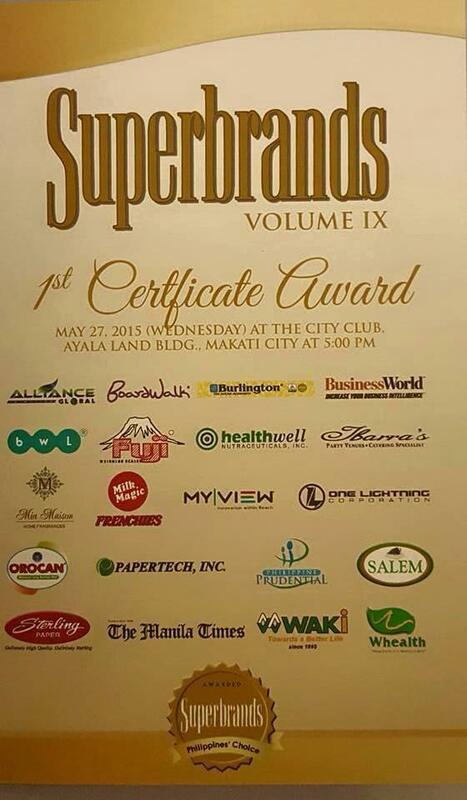 Superbrands handed out its awards May 2015 (see image above). Wow! How did that happen? Continue reading What’s Your Say on This? – Is Superbrands Philippines Credible? Posted on July 22, 2015 July 23, 2015 Categories Financial News, Investment, Market Phenomenon, PhilippinesTags Branding, Multi-Level Marketing, One Lightning Corporation, Securities and Exchange Commission, Superbrands2 Comments on What’s Your Say on This? – Is Superbrands Philippines Credible?